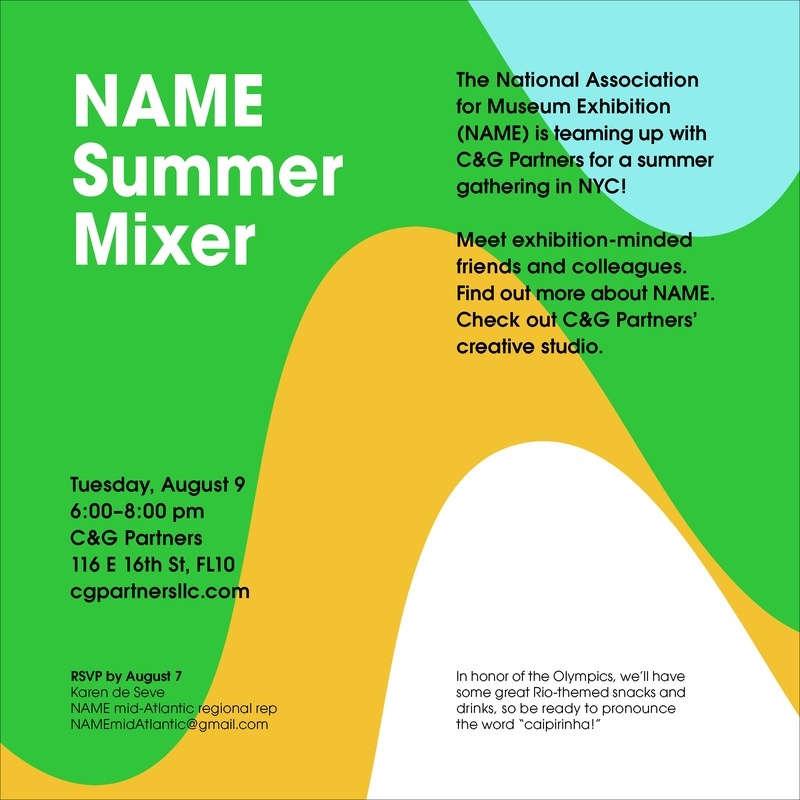 We're teaming up with the National Association for Museum Exhibition (NAME) for a summer mixer. Members can mingle with exhibition-minded folks, learn more about the association and tour our creative studio—all while enjoying Rio-themed drinks and snacks in honor of the 2016 Olympics. New York NAMEers join us on Tuesday, August 9, from 6-8 pm at C&G's Union Square studio. RSVP to NAMEmidAtlantic@gmail.com by August 7.